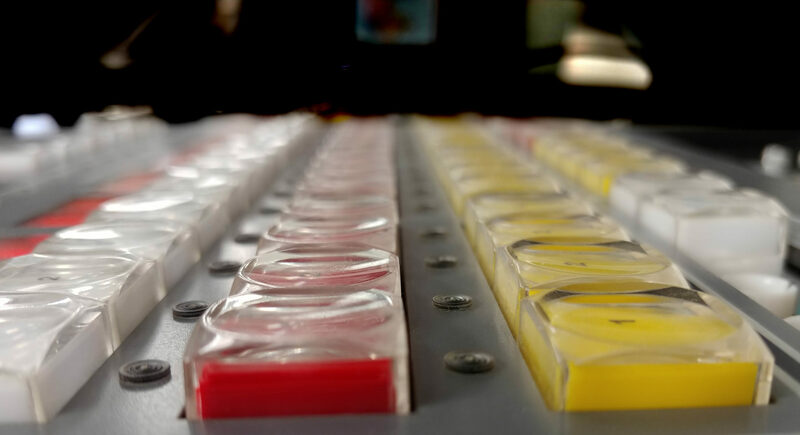 The MCP-2020 Master Control Panel was designed to offer maximum operational efficiency in all master control applications. Fully compatible with all previous generations of Utah Scientific Master Control Switchers. The MCP-2020 offers a convenient and cost effective upgrade path for owners of existing Utah Scientific MC-500 series analog switchers who wish to upgrade their on-air facilities to digital or multi-channel operations. The MCP-2020 provides full control over the advanced functionality oﬀered in the full range of Utah Scientiﬁc Master Control Processors. 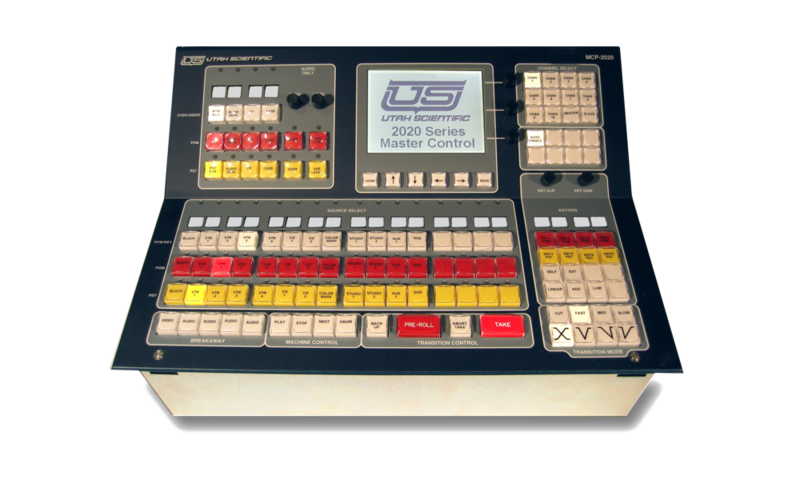 These features, such as multiple keyers, internal DVE options, embedded audio operation, and multi-channel support are all controlled by the MCP-2020 in a way that is operationally compatible with the MC-500 series. This compatibility ensures that operators will be able to move to the MCP-2020 with a minimal re-training. The panel is available in two versions: The MCP-2020A has an angled top for better visibility of the LCD display when the panel is mounted in a ﬂ at desk. The MCP-2020B has a ﬂat top for rack-mount or console-mount applications.